It has been rumored for many years that TVB studios is haunted. Many artistes encountered strange happenings that cannot be explained by logic. 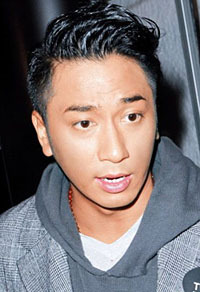 The broadcasting of drama, Daddy Cool <逆緣>, in which an odd shadow appeared in one scene, once again sparked discussion about the supernatural encounters at the studios. Lai Lok Yi‘s (黎諾懿) relationship with 52-year-old Patricia Ha (夏文汐) in Daddy Cool is regarded as one of the drama’s highlights. In a particular scene where Patricia was helping Lai Lok Yi get into bed, some viewers noticed a strange shadow on a chair in the room. When zoomed in, a black shadow resembling a long-haired female can be seen. Staff later cleared up the issue and said someone accidentally placed a plank of wood near one of the lights, causing a random shadow. When he still worked at TVB in his early career, Nick Cheung (張家輝) encountered a mysterious whistling sound while filming Game of Deceit <騙中傳奇> with Jessica Hsuan (宣萱). Although the entire crew heard it while the camera was still rolling, the whistling sound was absent when the crew watched the playback later on. Ekin Cheng (鄭伊健) played War Game with his friends inside TVB studios one time, but ended up counting an extra person when he was doing the headcount. Originally with just eight people, Ekin kept counting nine people. Another time when the actor was resting on the carpet in between shoots, a chandelier fell right beside him. When the crew asked if Ekin was hurt, an employee told him quietly that he saw a female figure sitting on top of the chandelier right before it fell. 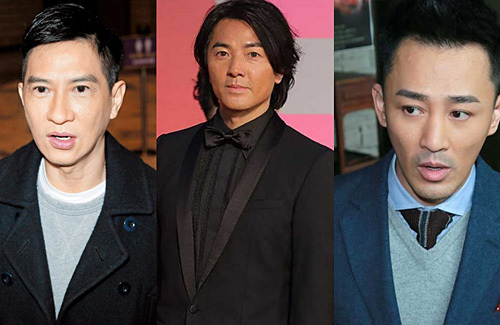 Encountering a creepy incident as well, Raymond Lam (林峯) once said his personal assistant was not able to find him in the room he was sleeping in. Never having left the room, Raymond was spooked as to why the assistant did not see him sleeping on the sofa. Elaine Yiu (姚子羚) claimed she saw a legless ghost in the makeup studios when she was filming To Catch The Uncatchable <棟篤神探>. Noticing a random figure in the corner, Elaine initially did not pay attention until she woke up from ashort nap and noticed that her lipstick rolled near the random figure. About to pick it up, Elaine realized the figure did not have feet and its facial features were blurry. Running out of the studios immediately, Elaine quickly went outside to the hallway where there was more light to calm her nerves. Even veteran actors Sunny Chan (陳錦鴻) and Bobby Au Yeung (歐陽震華) admitted they have been targets, from hearing random mysterious sounds, to being woken up by an invisible slap to the back of their heads when napping. While filming A Kindred Spirit <真情>, Joyce Tang (滕麗名) went to the washroom and saw a reflection of herself in two different mirrors. Tavia Yeung (楊怡) saw a bouncing soda can on the empty streets outside TVB studios while taking the bus home after work. However, the most well-known chilling ghost at TVB is the Milk Tea Lady, whom many employees claim they have encountered. In a female washroom in Studio 6, some female workers said they have heard knocking on their stalls and voices of an old lady asking them if they want to drink milk tea. Although a lot of these incidents may be attributed to hallucinations of very tired artistes filming into the a.m. hours, these stories still bring chills down the spine when told. all these ghost encounters. can’t really tell true or just people were overworked. @m0m0 Most likely overworked….I would imagine that any normal person who doesn’t sleep for 3 days consecutively probably won’t be able to think straight so having hallucinations and seeing weird stuff is not surprising. The reporters are basically making a mountain out of a molehill. Like the Daddy Cool one for example, they made such a big deal out of it, with everyone including the producer trying to justify whether the studio is haunted or not, only to find out that it was just a simple decoration that no one paid attention to while filming. Whoever “reported” it as a ghost in the first place must feel stupid. Some people have way too much time on their hands…. yeah, that’s my hunch too. i don’t know why hk tv personel always talk about ghosts and superstitions. like spencer lian, he had a whole talk show and would even today, his radio show would occasionally have these older generation actors come up to talk about their experiences. Out of all the ghost stories, uncle Raymond’s one has the least credibility and can be explained. It’s called sleep paralysis and I have had it a lot too. It can be caused by having irregular sleeping patterns or over tiredness. It is a feeling of being awake or maybe actually awake but cant move an inch and feels held down and paralysed. I have forcing myself to move and tried shouting to others for help me but nothing comes out. Eventually it gets undone and wake up safely. Definitely a horrible experience but it is not getting held down by a female ghost, that’s for sure! Had the same paralyzing experience once years ago, except there were orbs floating around the room. @jimmyszeto I had the same paranormal experience as Raymond. I felt like I was being held down but couldn’t move even though I knew I was awake. I could feel my surrounding, and I also saw white misty stuff floating next to me. I’ve never experienced this before, and I only experienced this when I was living in my old flat in HK. I have had it plenty of times. I think it is to do with nerves and also bad sleeping patterns. I think it is the closest to after having a stroke. You want to move and you brain is trying to tell you to use but you wont budge however much energy you use. What you see in front of you while paralysed is exactly the same until you finally wake. It is horrible…. @jimmyszeto i’ve also had this paralyzing experience a few times in the middle of the night. Very frightening… and very hard to go back to sleep afterward. This article is kind of wrong…the Daddy Cool one was actually cleared up yesterday – that “shadow” is actually a decoration…in one of the other episodes (I think it’s episode 17 or 18) there is actually a close up of it. It’s basically a gourd-shaped decoration with black netting-like material that is either situated on the table or hanging on the wall….it’s only from far away and from certain camera angles that it looks like a shadow of a woman.